Kate’s toddler was waking at night and having tantrums, she found it difficult to calm him down enough to go back to sleep as he seemed to be terrified and anxious. She didn’t know what was waking him or how to resolve the problem. We thought Kate’s son could be experiencing a night terror. 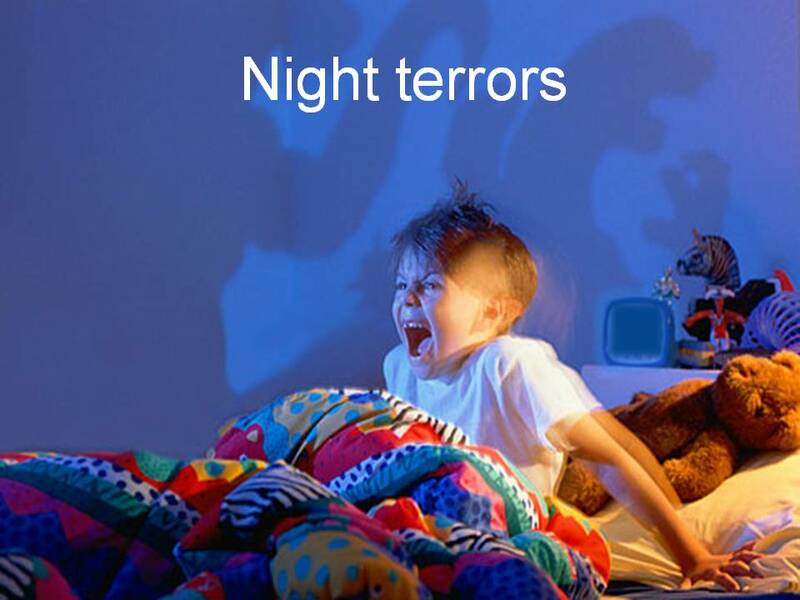 Night terrors are a sleep disorder that mainly affect preschool children and occur usually in the earlier part of the night. Parents often find night terrors very disturbing as their child appears to “wake up” in a state of terror, often with a wide eyed frightened expression and sometimes screaming loudly. The terror usually lasts a matter of minutes, but as they happen in deep sleep the child is still asleep and unaware of its occurrence. Parents should not attempt to wake their child from a night terror as they are likely to be very upset if roused from this state. Night terrors can run in families; but sleep deprivation can be a cause, so it is important that parents ensure that their child is getting the right amount of sleep for their age. We advised Kate to simply wait with her little boy until the terror passes and then lay him back down in his cot. To help prevent further night terrors from happening, we suggested that Kate try stirring him gently when she went to bed. Kate did this nightly until her son had a week free of the terrors.